Tired of spending hours and hours on the phone talking to auto insurance reps about their services just to get a quote for your vehicle? You’re probably going to look at dozens of different plans before you select the best one; and you don’t really have the time to waste on the phone all day long for days on end. This is where AutoInsuranceApe.com comes in to help you compare free car insurance quotes within minutes. To get started fill out a short form at the top of this page: enter your Zip Code, your age, tell us if you are currently insured and if you own a home. After this our system will pair up you with a list of the best-suited car insurance companies based on information provided. We work hard to ensure that you only get the most reputable and the cheapest insurers in your area. Online car insurance comparison is a proven way of finding the cheapest provider. You can really save a ton of time and more importantly money when using our instant online car insurance comparison tool. 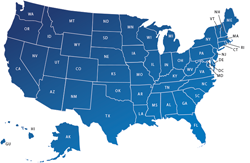 We make it simple to pull up instant rates from up to half a dozens of companies which serve your state. As you probably know price comparison is one of the most effective and proven ways of ensuring you are getting a good deal. This applies to any type of products or services. Internet just makes finding the best price that much easier. 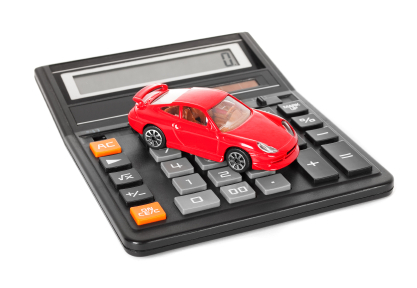 It is important to remember that while comparing car insurance price estimates is important, there are other ways of lower your premium. 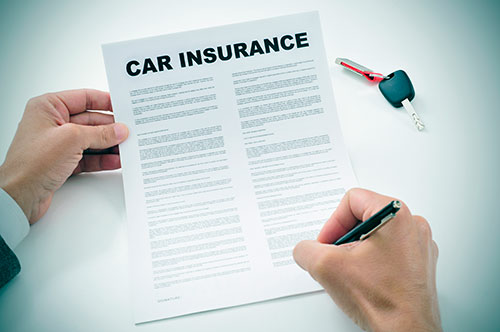 First of all, it is very important to have a basic understanding of types of car insurance coverage. Knowing this you can make an educated decision on what coverage and how to set your deductibles. Secondly, there are multiple cheap car insurance tips, which can help you maximize your savings. AutoInsuranceApe.com provides guides for various types of drivers, because saving techniques are quite different for drivers of different demographic groups. What works for a young male driver, might not be 100% applicable for a senior driver. Thirdly, this website provides you average nationwide insurance rates for cars, minivans, trucks and SUVs of various makes and models. This should give you a general idea of which cars are cheaper to insure. However, we strongly urge you to get your own auto insurance quotes for free, as nationwide data is not applicable to every driver in the USA. What’s the next step in the process? AutoInsuranceApe.com offers a simple but effective tool for comparison. To save you time, we find the best-rated insurers in your area. We recommend comparing at least 3 quotes from these providers. After you get your online quotes, you can call the companies which offer those plans to ask for more information. Customer service representatives will work with you on the phone to generate more finely tuned quotes based off of additional information about your driving habits and record. You won’t be able to find out about all individual discounts online since companies offer varied discounts and often times change their discounts regularly. Discounts are the key to getting low rates, so this is an important step in the process. Finally, make your decision based not only on rates and features but also on the company’s customer service. Were your interactions with the company positive? Are their customer reviews favorable? Did other customers find it easy to resolve problems with the company? Ask yourself all of these questions before you make your final selection. Cheap car insurance is great, but what you really want to get is the very best value for your dollar—you want to save money and make the money you do spend go further. When you start to compare are insurance quotes on a mission to find the lowest possible premiums, it is important to understand how your quotes are calculated and why these quotes can differ dramatically from carrier to carrier. All auto insurance carriers licensed to do business in your state must answer to the Department of Insurance when filing rates, but this is does not mean that a multitude of personal factors will not affect your base rate when you retrieve quotes. If you are wondering why your insurance is so high compared to state averages reported in your area, or your cousin’s rates are significantly lower than yours and you want answers, here is your consumer guide to understanding auto insurance rating factors. When you are shopping for affordable auto insurance, the easiest way to save money is to compare auto insurance quotes from several different companies licensed to do business in your state. While each of these companies have different base rates that are based on the demographic the company has decided to target, all of the carriers will use the same combination of rating factors to calculate personalized rates for applicants. Some of these rating factors are fixed factors that you cannot control, and other factors can be changed if you make the effort to change lifestyle and driving habits. Identifying the fixed and variable factors, how they affect your rates, and how the changeable factors can be changed in your favor will help you get the lowest possible auto insurance premiums. Read on to distinguish between all of the rating factors that reputable auto insurance carriers use. 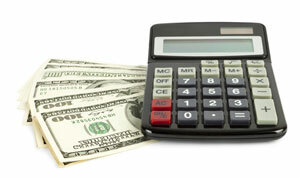 Age plays a major role in how much you will pay for your auto insurance due to statistics. As you read about rating factors, you will learn that auto insurance actuaries and underwriters rely on statistics to calculate rates. If the statistics of accidents are high in a specific age group, rates for applicants assigned to the age group will be higher.Young drivers under the age of 25 have a high incidence of accident, and this is why inexperienced drivers pay the highest rates. Once you gain experience, you can expect to see your rates decline at 25 and then gradually until you are 65. Once you reach a senior age group, premiums tend to rise once again. Your gender can also affect your premiums because of varying statistics in male and female drivers. Generally, insurance companies will combine age and gender data to calculate rates. Younger males typically pay the highest premiums between 16 and 25, with females following behind them. Conversely, older males typically pay lower rates than older females in the same age group. One of the main reasons why young and middle-aged men pay higher rates is because men drive more, they have more violations, and they take more risks than women. The same is not true based on what the statistics show in older age groups over 65. One of the most well-known rating factors to consumers in terms of auto insurance is your driving record. Insurance carriers will pull your motor vehicle report, commonly referred to as an MVR, when qualifying you for coverage. If you have minor moving violations within the last 3 years, or major violations within the last 10 years, your rates may be surcharged. You can even be disqualified for Good Driver and Safe Driver discounts due to your MVR.A violation may not cost the insurer money, but statistics show that drivers with violations are less responsible and more likely to get into an accident. This is another example of how statistics factor into rate factoring. If you are eligible, you should always take traffic school to have a chargeable violation removed from your record. Many people assume that the premiums for newer cars are automatically higher because they are new. This is an incorrect assumption. Auto insurance premiums are based on a vehicles classification that is given by the Department of Insurance. This classification is based on Property Damage and Liability claims. Vehicles that are known to cause significant damage or injury will cost more to insurance than others, regardless of the model year.If a year, make, and model has a higher rate of accident, the premiums will tend to be higher. This is why some sports cars cost more to insurance than a family sedan. Consider the demographic who drives the type of vehicle you own and this could help you understand why rates of based on accidents and not necessarily on the value of the vehicle. Not everyone commutes, and not everyone drives their vehicle for pleasure. Statistics show that commuters drive under more stress than someone who is driving to the store to go shopping. When drivers are under stress, they are more likely to get in an accident. This is why commuters, student drivers and business drivers pay more for insurance than a pleasure user. Have you heard of the saying that most accidents occur within 5 miles of your home? While this is debated, the number of miles that you drive does play a role in how much you will pay for coverage. 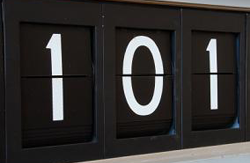 In most states, the average mileage reportedly driven by residents is 12,000 per year. If you drive less than the average, you could pay less for coverage because you are in a lower rating bracket. The garaging zip code is known as the insured location. This is where your car is primarily parked overnight. If your zip code has a lot of claims for theft or vandalism, you may pay higher rates than a neighboring zip code without all of those claims. In most states, carriers are allowed to run credit checks to determine insurance rates. You might be wondering what your credit score has to do with driving, but actuaries believe that individuals with good credit are statistically better drivers and make more responsible decisions. 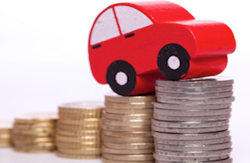 Do not assume that your driving record is the only thing that will affect your rates. 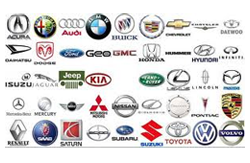 As you can see, there are several factors that will raise or lower your car insurance quotes. Now that you know how rating factors can affect you and how much you are charged, you can be an informed consumer and make the best decisions.